Cycle For Fun is about helping you find the right bicycle for your needs. We are a web-based store that focuses on bicycles that are fun to ride and good for your body. DBA, [doing business as], Cycle For Fun is owned by Nice Cards Inc. We are located at 6063 19th Street Grand Forks B.C. Bill Wilby is the owner and manager of Cycle For Fun. Our mailing address is P.O. Box 2842 Grand Forks B.C. V0H 1H0. Our office phone is 250 442 0469 and my mobile is 250 584 4231. If you would like more information, then please use this Contact Form. 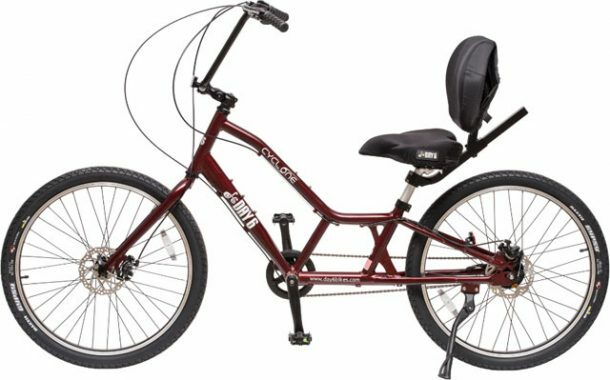 I discovered Day 6 bikes when I was looking for a recumbent bicycle that my wife could ride. She has an old neck injury that makes the traditional bike design painful to ride. I have been importing and selling the Day 6 bike since 2012. The Day 6 Bicycle company has had three different owners in this time. Because of this, supply and service has been frustrating. The good news is the last owner is the first owner and designer Kelly Hutson. Supply has improved, models have been updated and service is excellent. I began importing the Strida from a U.S. distributor in 2012. Later I became the Canadian Strida distributor, Strida Canada West. With the Strida Canada web store I have shipped more than 900 orders of bikes, parts and accessories to over 500 customers globally. The Vello bike caught my eye in 2015 with their first Kickstarter offering. I liked the design and their approach to a new folding bike and company. Vello is located in Vienna Austria and I visited them in the summer of 2017. I was able to experience and ride a prototype Vello Plus, their newest electric assist folding bike. I am looking forward to importing and selling the Vello bike in the Spring of 2018. Please join our mailing list to receive the latest news and updates.